Update 13th July 2010: The NDA has been lifted and a number of reviews have been posted. 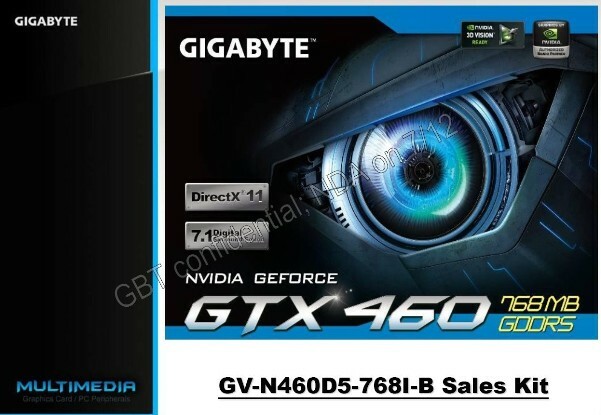 After the paparazzi caught a glimpse of the GTX 460 768 earlier this morning, Expreview has now posted a Gigabyte Press Kit detailing the performance of NVIDIA’s upcoming mid-range Fermi card. 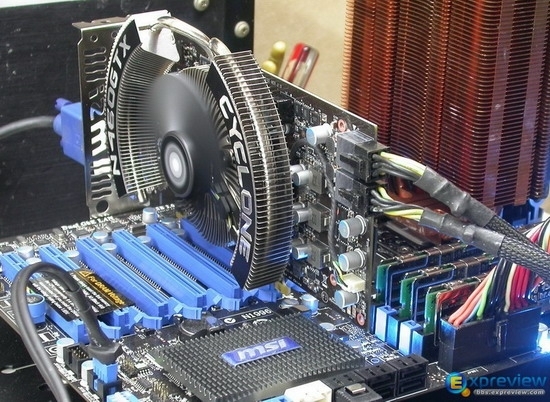 Due to be released on July 12, this card will feature 768 MB of GDDR5 memory running at 3600 MHz, plus 192-bit memory interface. 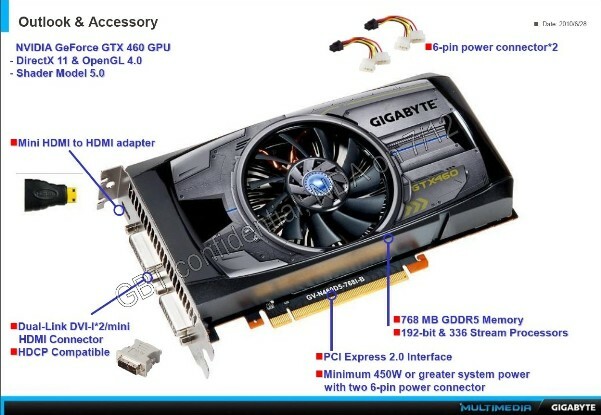 The GPU will be clocked at 675 MHz. 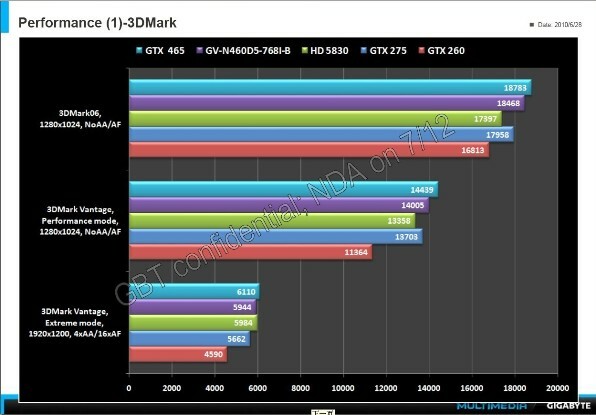 According to the slides, the GTX 460 768 will be faster than the HD 5830 (although it is not clear if this is a reference card or a specific model) and a bit slower than the GTX 465. The press kit comes directly from the manufacturer and includes some of their preliminary benchmarks. Once this card is officially released, more comparisons should hit the press, so stay tuned for that. 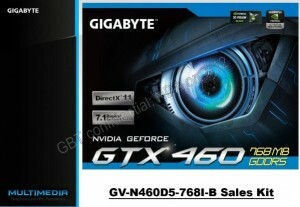 Priced between $228 and $254, the GTX 460 768MB should provide similar value to its main ATI competitor, the HD 5830. 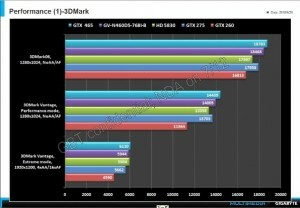 Interestingly, the 5830 loses out to the 460 in the standard benchmarks, but appears to have a very slight edge in the extreme benchmark. It will be interesting to see how the cards compare once they are available for purchase and are run through the standard battery of tests. Thanks to our friends at Fudzilla.com for being all over this story. Check out the rest of the Gigabyte Press Kit at Expreview.